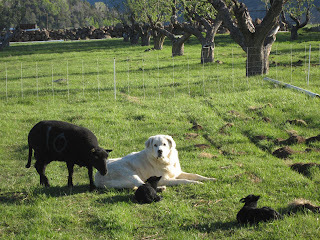 Winnie has decided she is now the official lambing pasture guard dog along with Kimball. 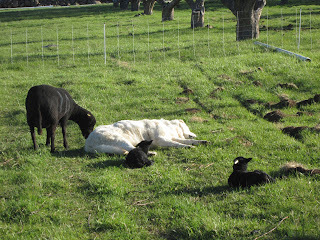 Winnie seems to take up a station near the youngest lambs and stays there until there are newer ones. 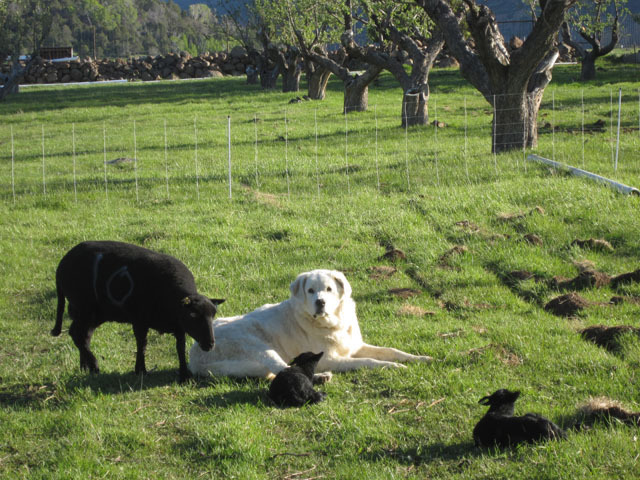 She is being very alert and watchful and doing a great job.